BuskFest is sending the call out to buskers from near and far to take part in the 12th annual busking festival, which takes place on Saturday 27 June in Banbridge town centre. Every year at BuskFest the streets of Banbridge town centre are bustling with hundreds of musicians, singers, bands, solo artists and street performers from across the globe entertaining the appreciative crowds in the hope of winning a prize from the £3000 cash pot. The competition runs from 1.00pm - 4.30pm and will culminate in an awards ceremony hosted by BBC Radio Ulster’s Ralph McLean in Solitude Park from 4.30pm - 6.00pm. Music fans will be in for a treat, with BBC’s The Voice contestant and local singing star Daniel Duke and band kicking off proceedings, followed by performances by the winners of each of the six competition categories. 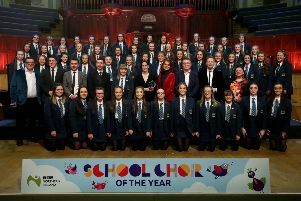 Categories include overall winner, best individual, best band, best junior performer, best performance which is sponsored by Banbridge Chamber of Commerce and the ‘Spirit of BuskFest’ prize, sponsored by The Outlet, Banbridge. As well as a superb cash prize, the overall winner will also land a prime spot on the line-up at Sunflowerfest music festival, which takes place at Tubby’s Farm, Hillsborough, Co Down from 31 July – 2 August 2015. With a large number of performers already registered this year promises to deliver another bumper Buskfest. Remember, if you’re not in you can’t win.